18th century English styled round cherry table with two 18" leaves.18th century English styled round cherry table with two 18" leaves. 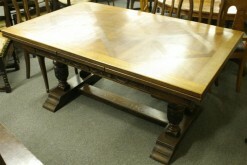 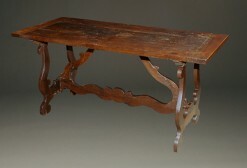 Custom made 18th century English style split top farmhouse table with 2 leaves. 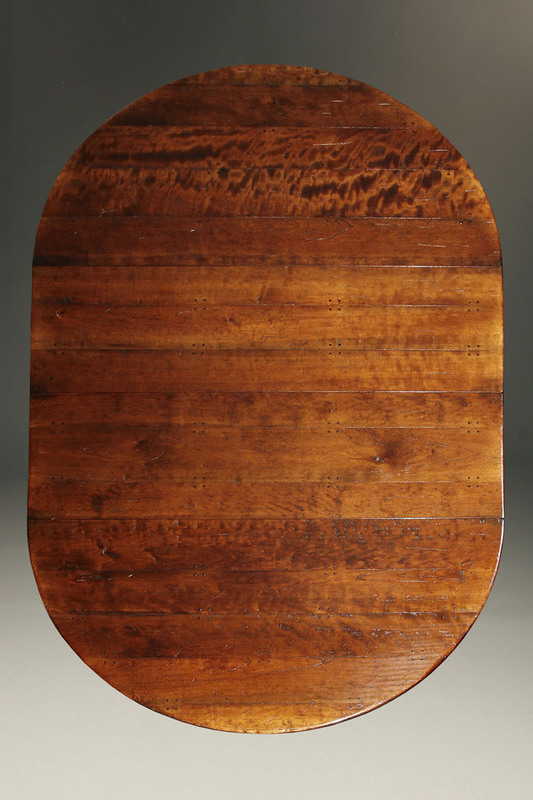 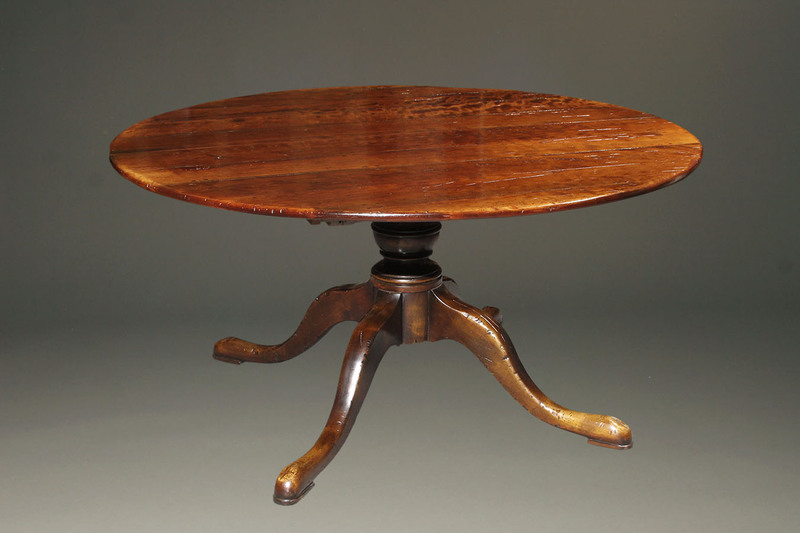 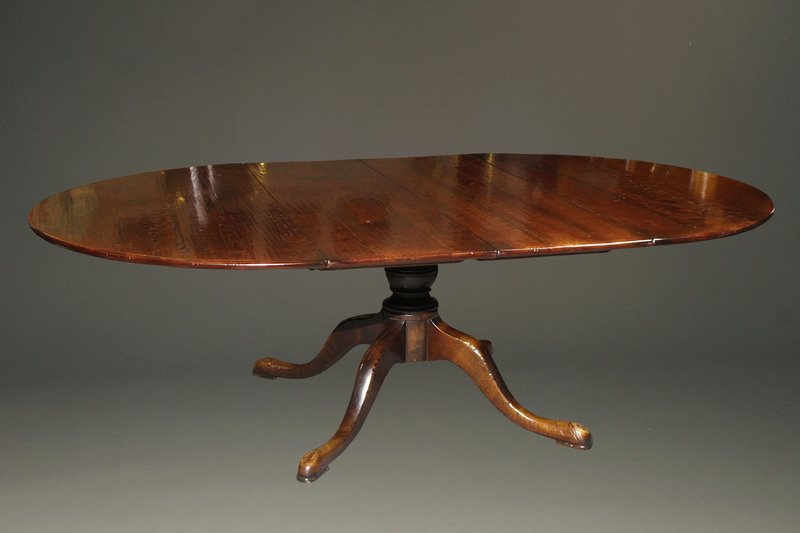 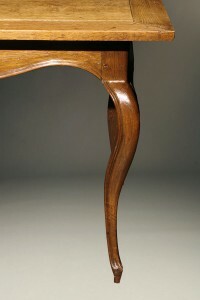 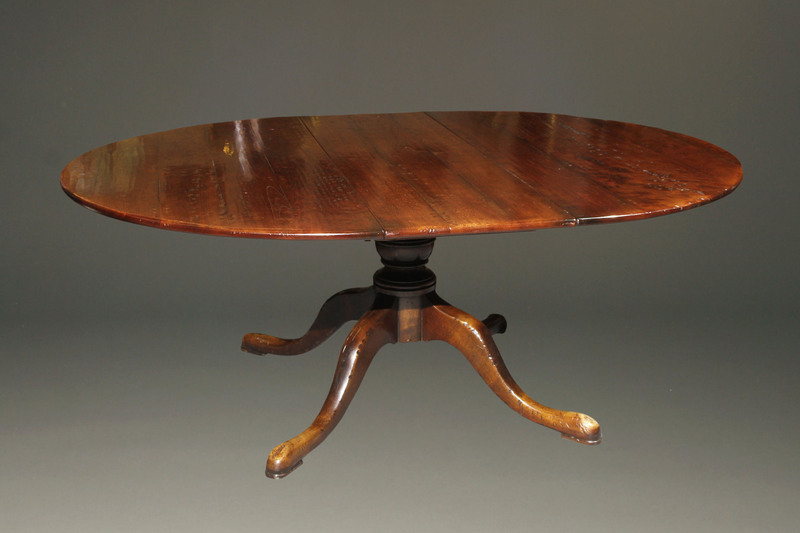 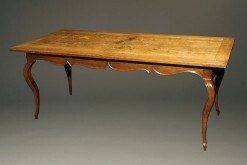 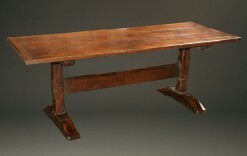 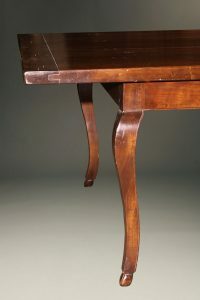 This is a custom made 18th century English styled cherry split top table with two 18 inch leaves. 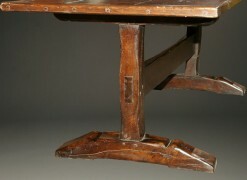 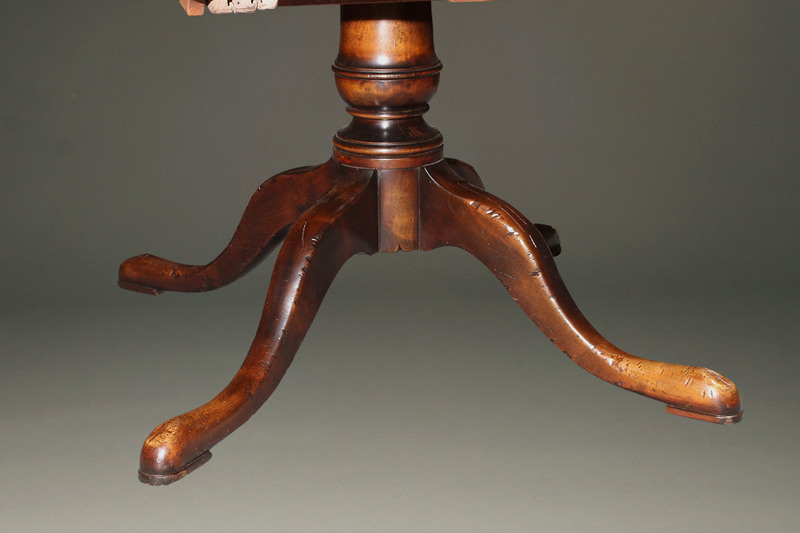 The hand hewn timbers of the \top are beautifully figured ad sit upon a four leg pedestal. 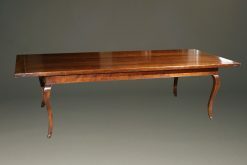 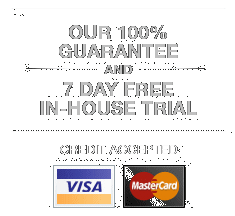 The table with out any leaves inserted is 60″ in diameter. 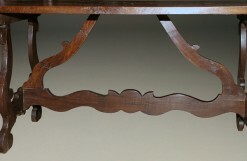 With the two 18″ leaves in place the table has a maximum length of 96″.